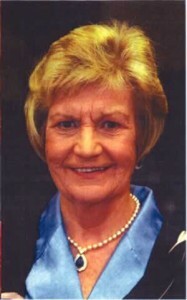 Claudia Mary was born in Lower Hutt in 1939 to Claude and Mary Wysocki. She was the youngest of three children with two older brothers, Norman and Brian.Claudia attended primary school in Lower Hutt. From primary school Claudia went to Erskine Catholic girls’ boarding school in Island Bay. She left boarding school knowing the nuns had had a great influence on her. After secondary school Claudia attended Victoria University in Wellington. Two years later Claudia made the decision to enter the convent. For the next seventeen years she devoted her life to God’s work as a nun with the Order of the Sacred Heart. The most satisfying aspect of those years for Claudia was her work at Baradene College in Auckland. There she ran the Boarding house, and at the age of 33 had sole charge of 139 teenage girls. The Second Vatican Council (1962-1968) addressed relations between the Roman Catholic Church and the modern world, giving Claudia had the freedom to question her religious life, and so it was that in 1977 she made the decision to leave the convent. Her father gave his unconditional support, which, in turn, gave Claudia the courage to pursue her life outside the confines of the convent. She stayed in Auckland to finish her thesis, and taught briefly at Nga Tupawai College in Mangere before taking a job as the Coordinator of the Secondary School at the very new Kristin School on the North Shore. Six months later she was appointed to the position of Deputy Principal, and soon after was appointed Principal. In the 13 years that Claudia worked at Kristin the school roll grew from 200 to over 1000 students, and from a staff of 12 to one of 70. In 1980 Claudia met James Scanlon who knew Brian Wysocki at Silverstream College in Wellington. On the 24th of October 1981 they were married. In 1985 the Kristin Board gave Claudia and James sabbatical leave for six months Whilst overseas Claudia discovered the International Baccalaureate qualification, which on her return was introduced to Kristin School, and to New Zealand in 1989. In 1990 Claudia was awarded one of only 150 Commonwealth Commemoration Medals, for services to education. A year later Claudia left Kristin School to take on a new challenge as Principal at St Margaret’s College in Christchurch. The school had a roll of 370 students, declining from some 800 students in 1981. Sixteen years later, when she left the school at the end of 2007, the student roll had climbed to 750. Claudia and James decided they would move to Richmond, Nelson. Claudia embraced new opportunities beginning with setting up an online mentoring programme, KiwiMentornet, based on an American model. She also carried out consultancy work in education, which included reviewing the boarding schools at both Dilworth School in Auckland and St Andrew’s College in Christchurch. At the end of 2009 she was asked to take up the position of Acting Principal at Nelson College for Girls. In 2008 Claudia was made a Government appointee to the Council of the Nelson/Marlborough Institute of Technology, and only last year appointed as Commissioner to the then troubled Rai Valley School. Claudia referred to the last four years of her life as the golden years. She and James travelled extensively, shared so many~wonderful experiences and interests together, and with friends, old and new. There is absolutely no doubt that Claudia was one of this country’s most dedicated educators and strongest advocates for young people in her compassion, concern and love for others.